A teenage girl discovers the dark secret of her origins. The film has been described as 'giallo-esque', seemingly because it can't be bothered stringing together a worthwhile story, but it lacks the visual audacity and laudable insanity of the great Italian horrors. Horror has long attracted low budget filmmakers, and always will. Most opt for easily marketable sub-genres like slasher and zombie flicks, all too often employing a found footage gimmick to help disguise shoddy production values. So when a low budget horror film that aims for something a little different is delivered to us here at Waffler Towers, we naturally get excited. The something a little different in this case is Mark of the Witch, which, if you attended 2014's Frightfest in London, you'll have seen projected under its original title - Another. That's the problem when you don't opt for an easily marketable film, you'll often find your movie subject to the whims of distributors. 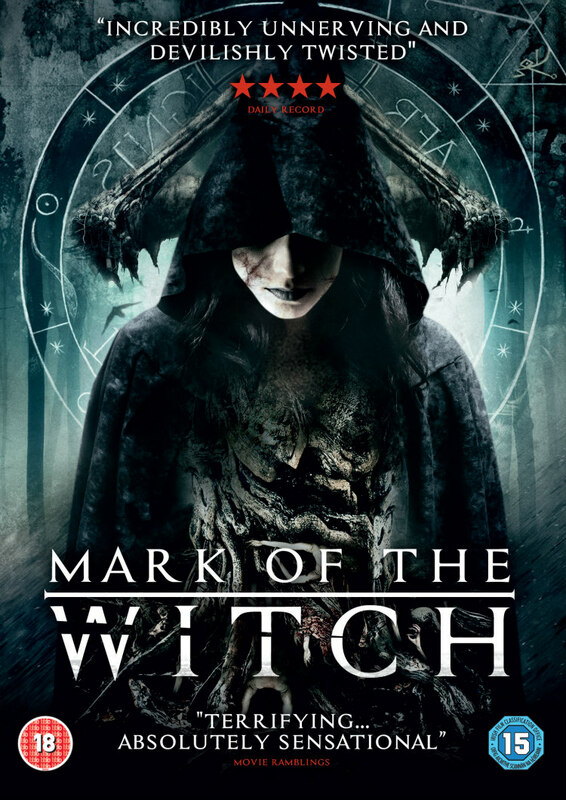 But how does Mark of the Witch differ to the many indie horrors that find their way into the Movie Waffler mail-room? Well, for a start, it doesn't features zombies or slashers. Instead, director Jason Bognacki is aiming for a more atmospheric, surreal venture with his feature debut, the story of Jordyn (Paulie Rojas), a girl who begins to have strange experiences following her 18th birthday. The party itself is ruined when her creepy aunt decides to stab herself in the gut, and Jordyn finds herself stalked around night-time Los Angeles by an assortment of hooded freaks, who bear a resemblance to the satanic cult members we saw in the pre-credits sequence. That's pretty much it as far as plot goes, which would be perfectly fine if the movie managed to pull off its intended brooding menace. The film has been described as 'giallo-esque', seemingly because it can't be bothered stringing together a worthwhile story, but it lacks the visual audacity and laudable insanity of the great Italian horrors. 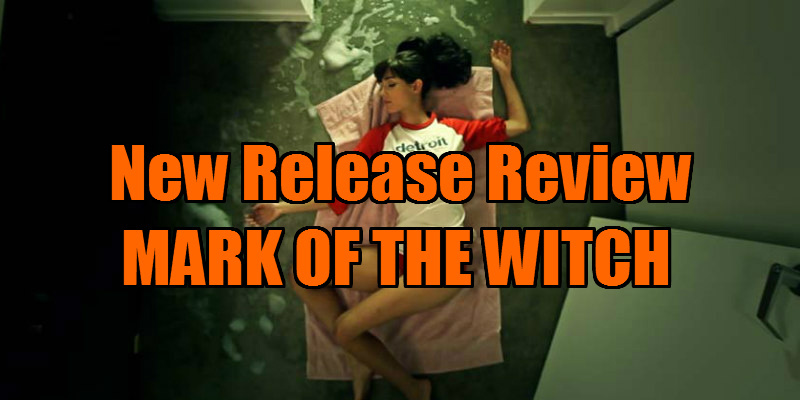 Instead - thanks to its cheap digital aesthetic, dodgy acting and unperformable dialogue - Mark of the Witch is reminiscent of that period when Days of Our Lives attempted to reinvent itself as a modern day Dark Shadows back in the '90s. Lead actress Rojas looks the part, strikingly wide-eyed, but whenever she opens her mouth it's cringe-inducing. Perhaps she's not a bad actress though, as the dialogue she's required to perform would test Meryl Streep. 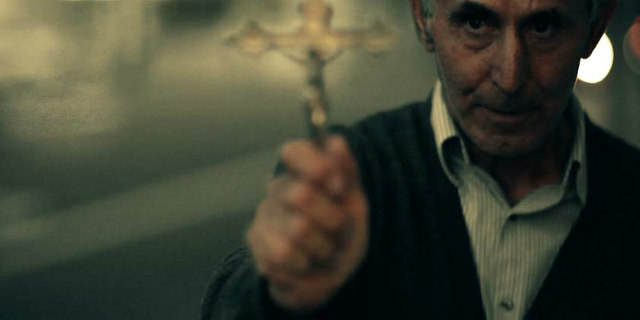 You have to applaud Bognacki for attempting something a tad unorthodox in the horror genre on a limited budget, but it hasn't paid off in this case, and I have to confess, by the end of Mark of the Witch's sparingly brief running time I was pining for a few slashers or zombies.